Humans' first languages may have been expressed through sign. Today, sign languages have been found around the world, including communities that do not have access to education or literacy. In addition to serving as a primary medium of communication for deaf communities, they have become among the most popular choices for second language study by hearing students. The status of sign languages as complex and complete languages that are clearly the linguistic "equal"of spoken languages is no longer questioned. 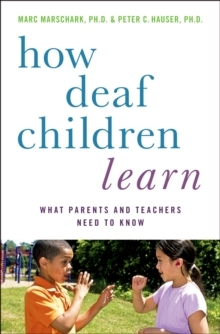 Research on the characteristics of visual languages has blossomed since the 1960s, and careful study of deaf children's development of sign language skills is pursued to obtain information to promote deaf children's development. 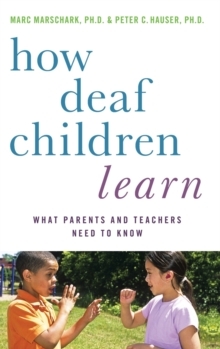 Equally important, thestudy of how children learn sign language provides excellent theoretical insights into how the human brain acquires and structures sign languages. In the same sense that cross-linguistic research has led to a better understanding of how language affects development, cross-modal research allows us to study acquisition of language in the absence of a spoken phonology. 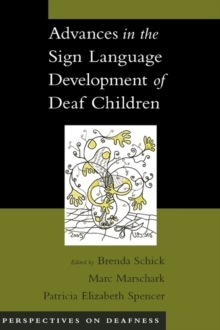 The contributors to this volume are leading scholars and researchers of the acquisition and development of sign languages. 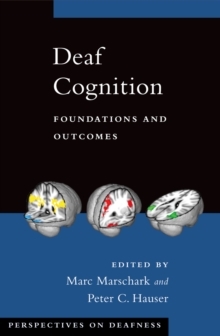 The authors provide cogent summaries of what is known about early gestural development, interactive processes adapted to visual communication, and the processes of semantic, syntactic, and pragmatic development in sign. They address theoretical as well as applied questions, often with a focus on aspects of language that are (or perhaps or not) related to the modality ofthe language. 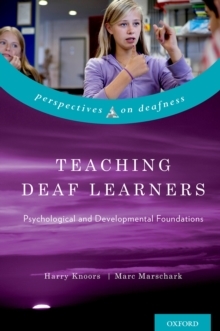 Readers, especially if they also read the companion volume Advances in the Spoken Language Development of Deaf and Hard-of Hearing Children, will have access to cutting-edge information about deaf children's language development as well as a deeper understanding of linguistic structures, modality effects, and human potential for language development.